Recently, deep learning techniques are widely adopted for big data analytics. The concept of deep learning is favorable in the big data analytics due to its efficient use for processing huge and enormous data in real time. This chapter gives a brief introduction of machine learning concepts and its use in the big data. Similarly, various subsections of machine learning are also discussed to support a coherent study of the big data analytics. A thorough study of the big data analytics and the tools required to process the big data is also presented with reference to some existing and well-known work. 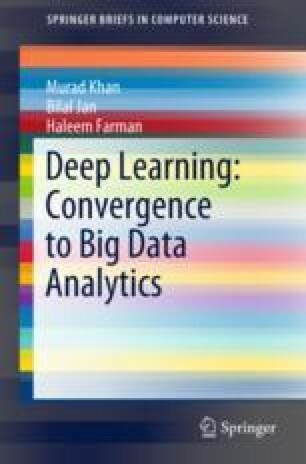 Further, the chapter is concluded by connecting the deep learning with big data analytics for filling the gap of using machine learning for huge datasets.